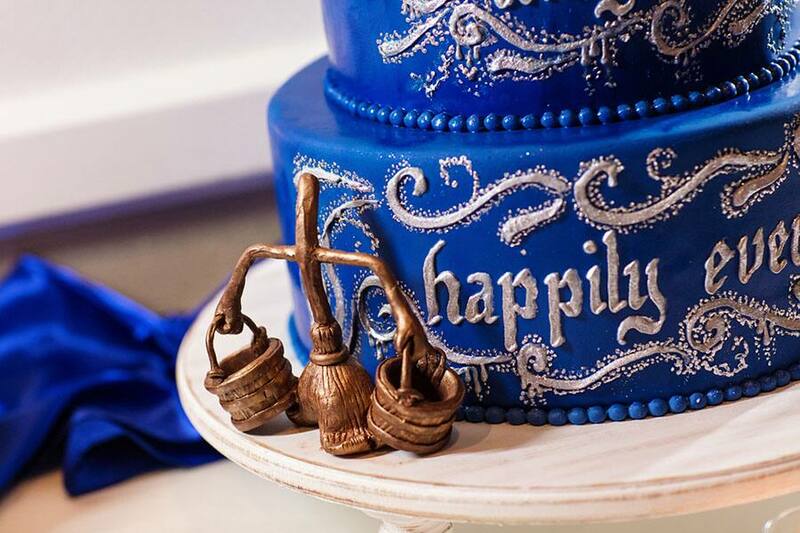 There is magic all around in this Sorcerer's Apprentice inspired cake. 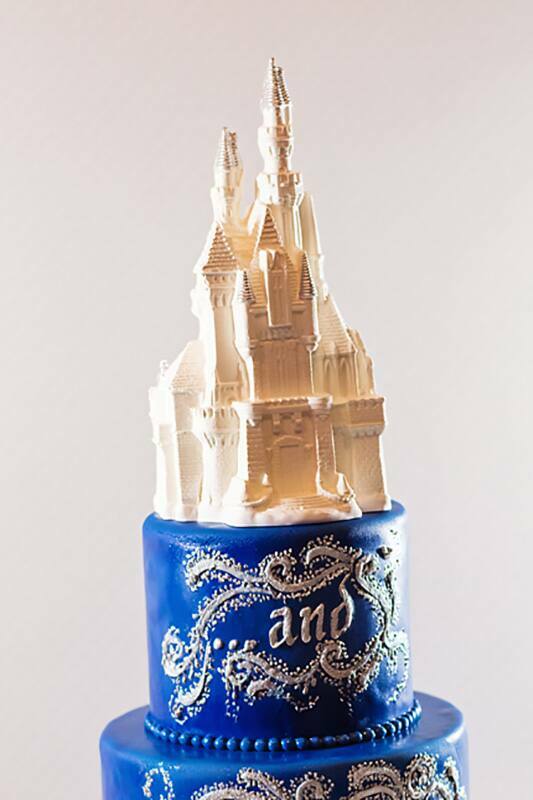 From top to bottom Sorcerer Mickey works his magic to add a bit of romance and fantasy. 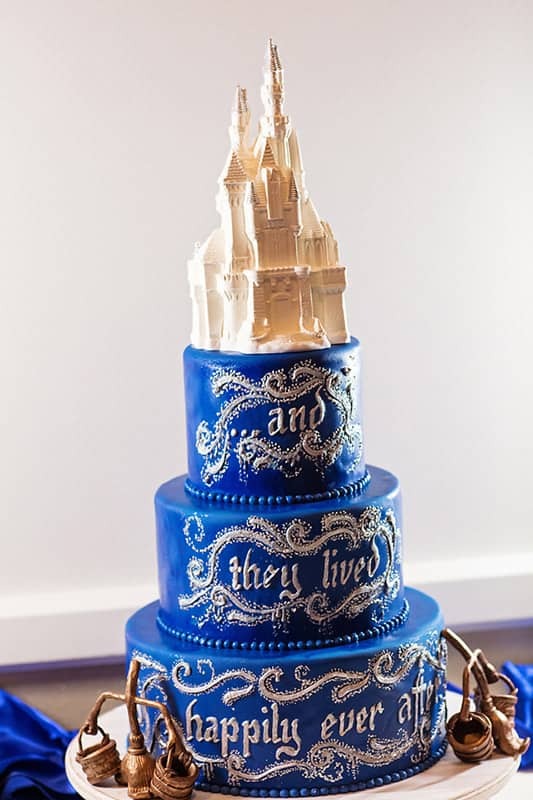 Hand piped lettering adorns each of the three tiers with the rich royal blue icing adding a pop of color. 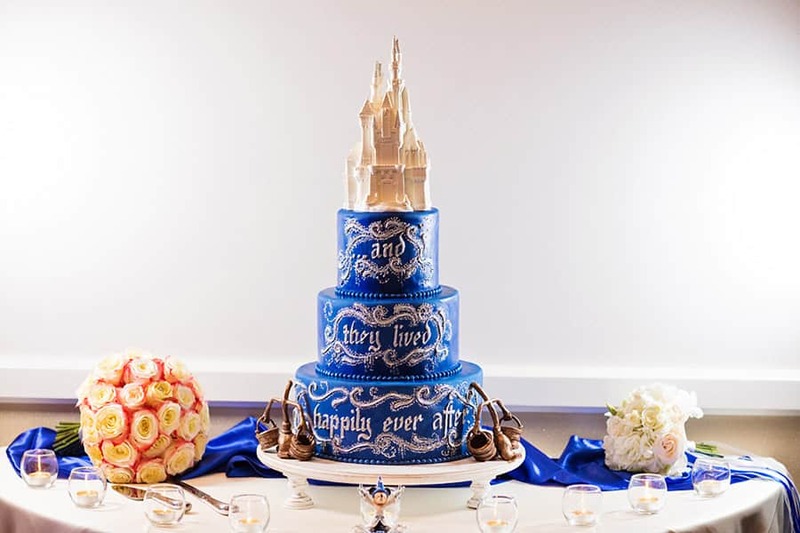 While the magic brooms and towering castle topper help to complete this wedding cake dream.